Online appointment scheduling, texting, and more. Be a breath of fresh air and make everything a lot more convenient for your patients. Solutions to improve access and convenience that make sense for patients. Your patients have changing expectations. New research shows they want more patient communication options, convenience, and personal interactions. You can provide it, and we can help. 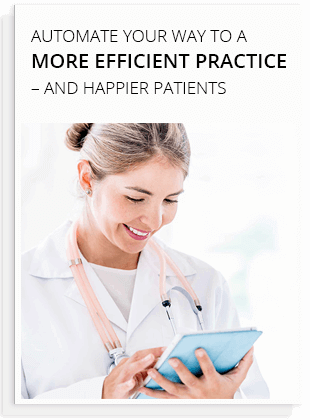 Think your patients would self-schedule appointments given the opportunity? They absolutely would. It’s super convenient, and they can do it from their preferred device—phone, tablet, whatever. Full Schedule - Imagine this. It's after 7pm when a patient suddenly remembers they need to schedule an appointment. Good thing you offer 24/7 options via your online scheduling. 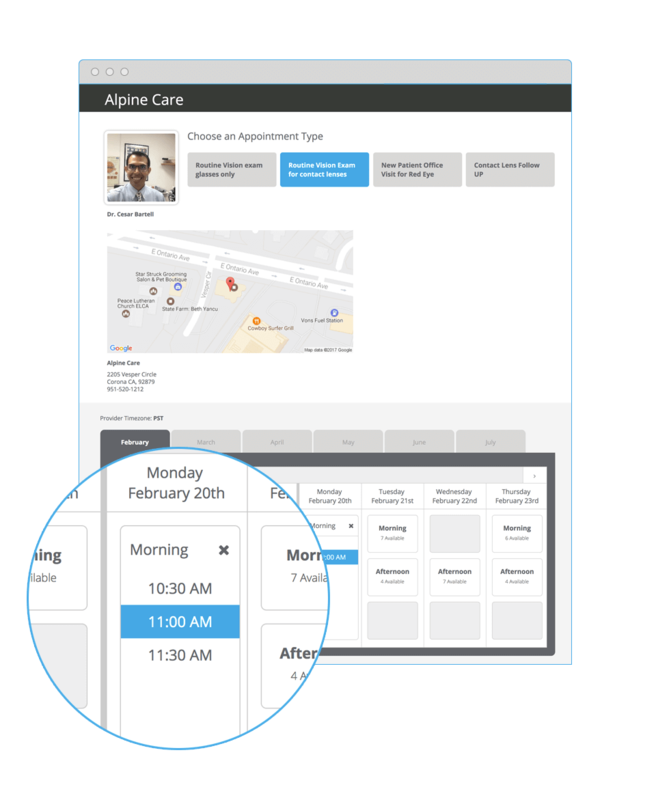 More loyal patients - You’re hooking them up with a self-scheduling tool that they want. Huge boost for patient satisfaction and loyalty. Office efficiency - Scheduling appointments can take up to 8 minutes on average when done over the phone. Let’s get staff off the phone and working with in-office patients.  Total control - Easily control what appointment types are bookable, how long each appointment type is, which pictures appear on the page, and what questions are asked the patient. Finally, you can categorize incoming texts and know which ones need your immediate attention. The iOS app gives you the flexibility to keep in touch with your patients whether you're at the office or the beach. 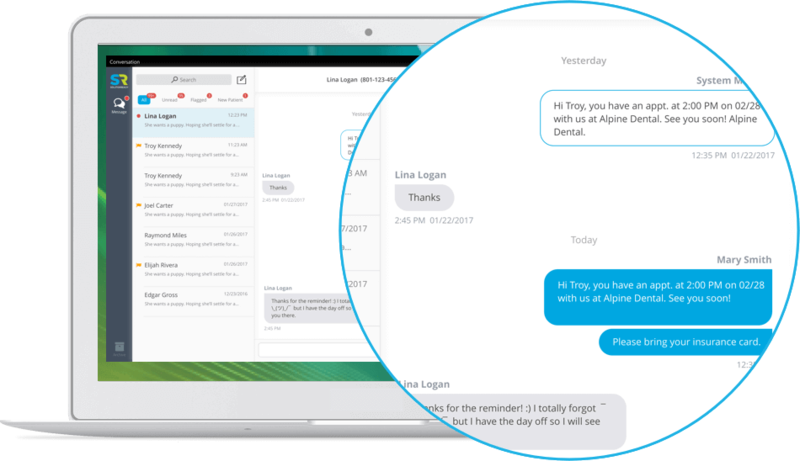 And with its easy-to-use HIPAA consent tool, conversations can be both in-depth and compliant. If your practice management software stores a wait list, Solutionreach can automatically build an "ASAP" group within your Solutionreach platform. 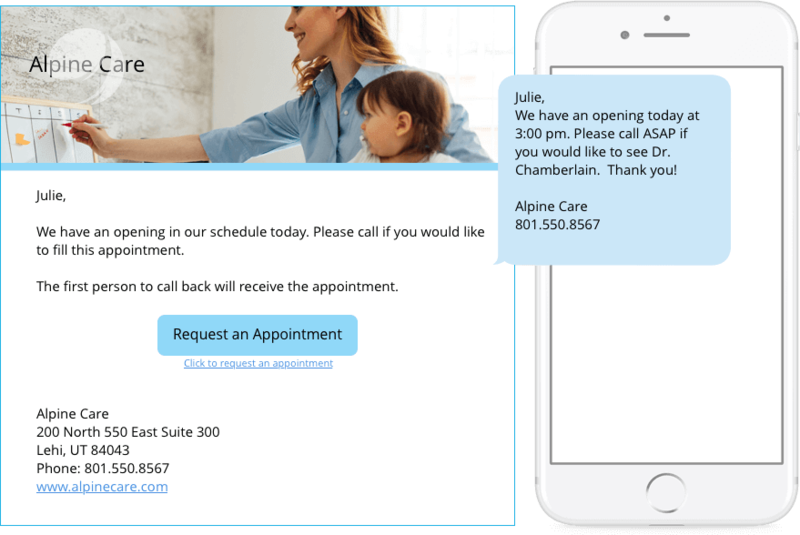 When a cancellation occurs, you can automatically send an email or text message to those patients with the date and time for the now-available appointment. The notification encourages patients to call ASAP and claim the open slot in your schedule. Patients that want to get in quickly will appreciate the opportunity to conveniently grab the last-minute opening. "When we finally did move over to a communication platform, I was amazed at the number of patients that would tell me how amazed they were that they could just respond to an appointment request, and they could just say 'Yes, I'll be there'." Patient access totally exists during the check-in process too. 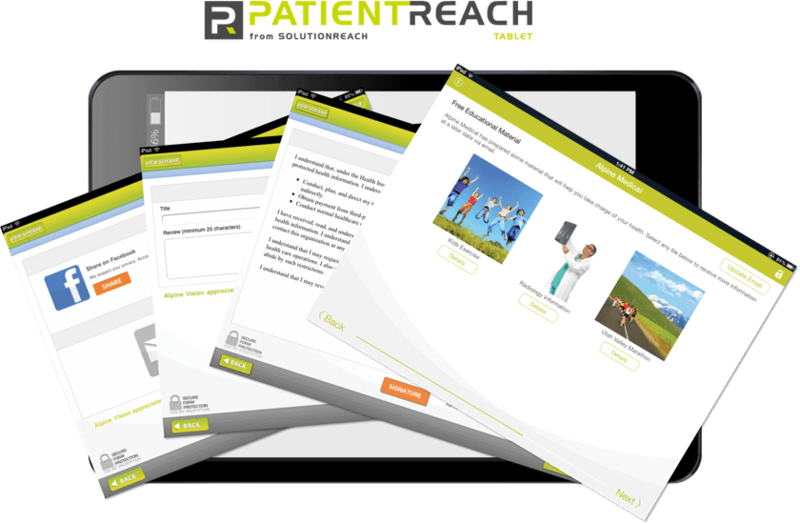 Providing the PatientReach Tablet during the check-in process offers a couple of cool things. First, point-of-care patient education. The waiting room is a fantastic learning environment for your patients, and you can provide info to help them with care management. The tablet also allows for verification or changes to patient information. They’re waiting anyway. Make use of that time!